Nectareon provides a perfect matrimonial shaadi clone script to run your matrimonial business successfully. We provide a common platform for bride and bridegroom meet at one place. Our readymade matrimonial software has multiple features provided with secured payment gateway integration. Lets you run a successful business online. The application lets you grow your business and increase revenue online. Our matrimonial application provides extremely flexible solution to track the business flow, allowing you to make your online matrimontial portal website better. 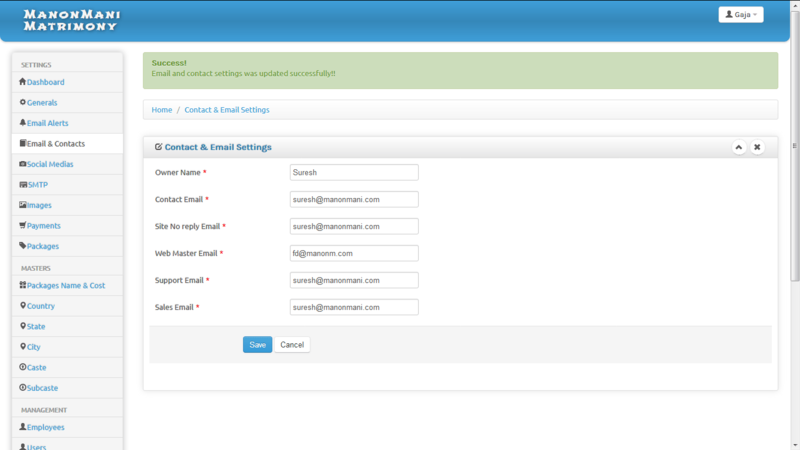 We customize according to your requirement new features can be added too. We provide complete technical support after the delivery of the project for 3 months. Why choose our matrimonial shaadi clone script? All these features lets you kick start your matchmaking business! Unique features you can find here are? We take care of complete installation and set up. Our matrimonial software is provided with complete source. Our readymade matrimonial script can be easily customizable according to your business needs. You get the online matrimonial script in your own brand name and logo. Also get design and themes of your choices. We have developed this application with the high coding standard. The application is highly secure and reliable for your users to use. Matrimic is very much suitable for your business. User satisfaction is our main objective we provide quick technical support after the delivery of the project. Kick start your matrimonial script business like Bharathmatrimony, shaadi, jeevansathi. Enhance your business with our matrimonial script. Admin has complete access to ordering and delivery system. 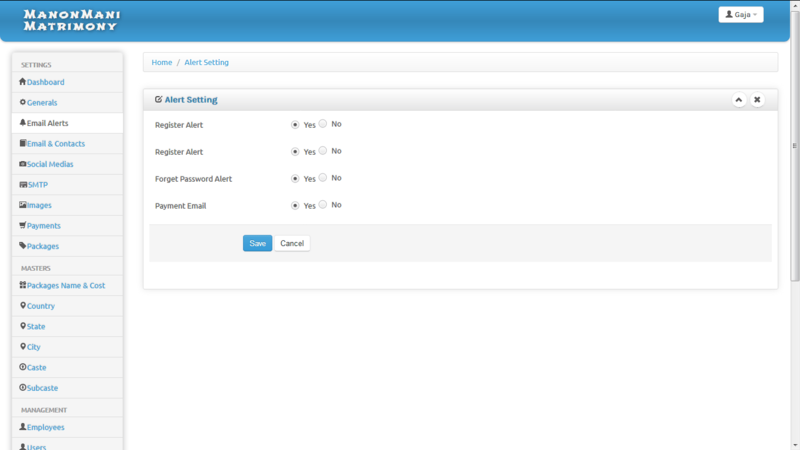 Admin can enable or disable needed access to their restaurant at admin control panel. The dashboard lets to manage the restaurant and users order. 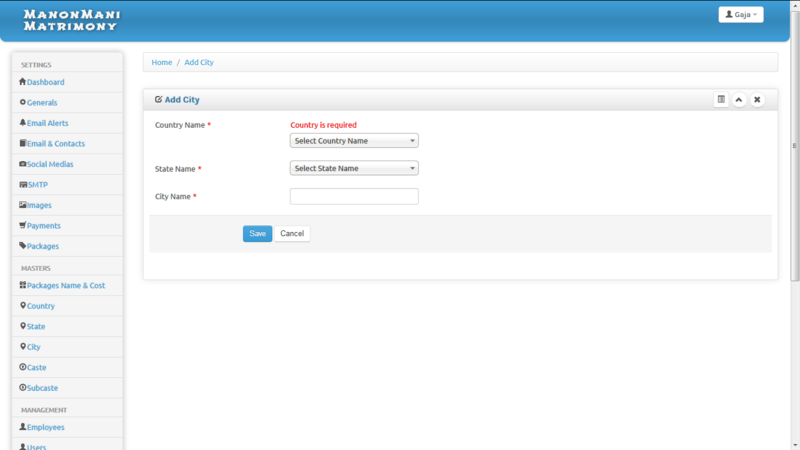 Franchise’s control panel is notified with user’s new profile selected. 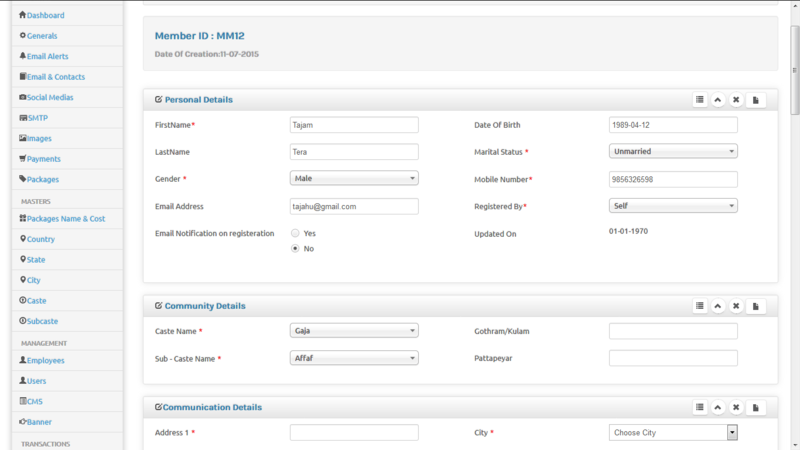 Once the profile selected and taken by users admin and also franchise will get notification. 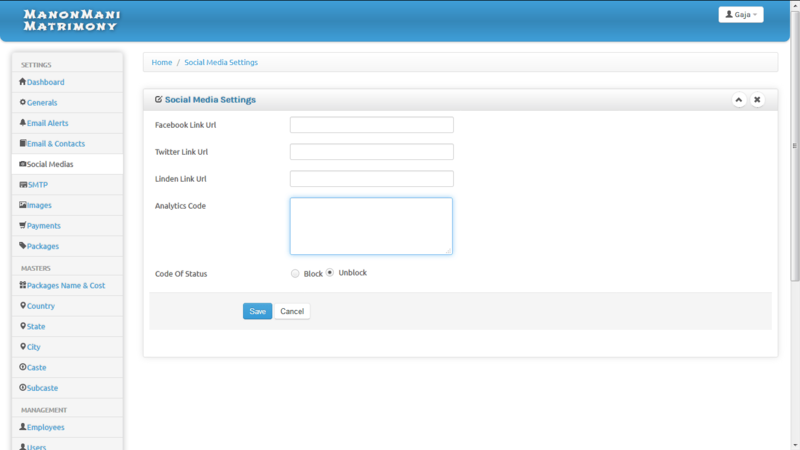 The user can add the profile through the web or mobile app easily. 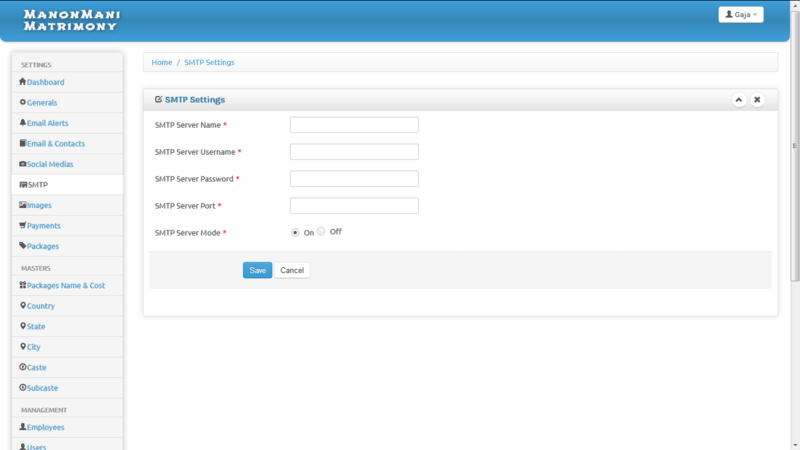 The user is provided with an user-friendly interface. The user can see the different kind of castes and well qualified profiles. The complete details for ordered items and also total no of sales, by weekly,monthly,day report. 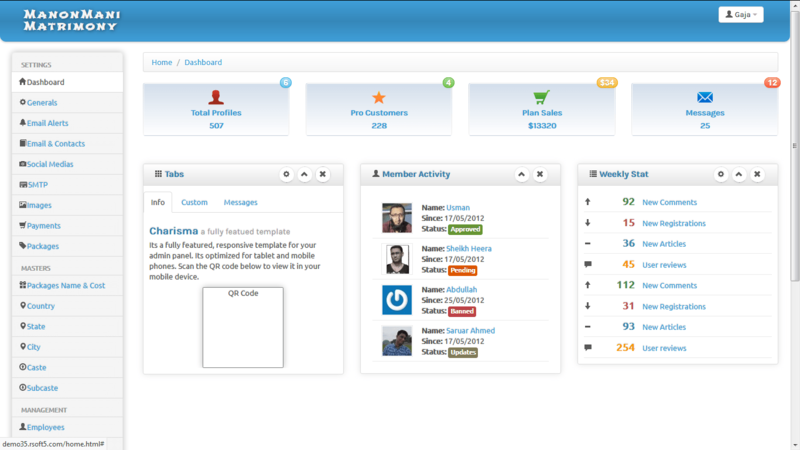 Admin can also see the report for each user profile. You can create franchise users like as franchise. The franchise have the features which have been permitted by admin. Admin can add profile like personal details, communication details, community details, habbits and eductaion details, horoscope details. Castes can be added by admin that can be as master data. They are many castes varities available. Sub Castes can be added by admin that can be as master data. They are many castes varities available. Location is available to select for each profile communication setup details. Communication details must need to contact the each profile persons. 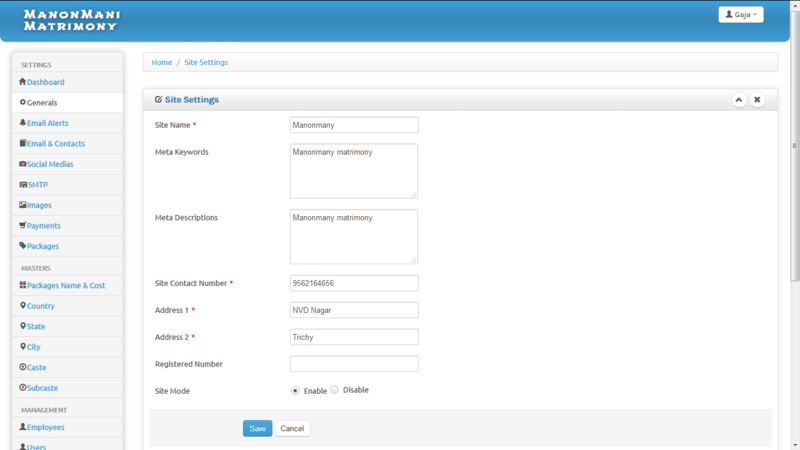 Payment gateway is setup for user access. When user wants to pay some packages which one is described or created by admin. Franchise is where you can add your complete information of the Franchise and also can be possible to view complete details of each Franchise. 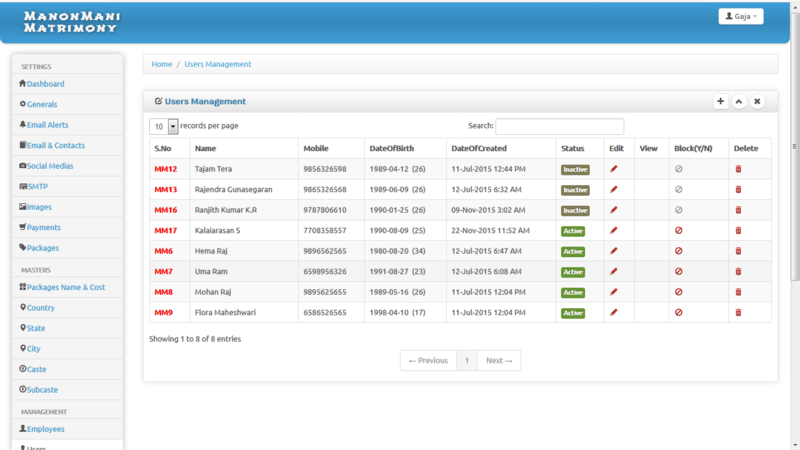 Users where you can add your complete information of the user and also can be possible to view complete details of each user. 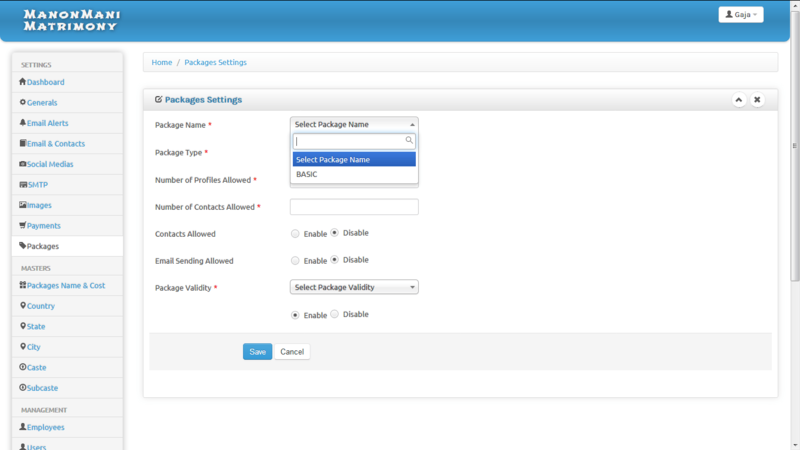 Packages are created by admin and each Packages have its description of that profiles,contacts,validatity etc. Orders can be as complete, denied, processing, etc that can be changed by admin and also franchise user. 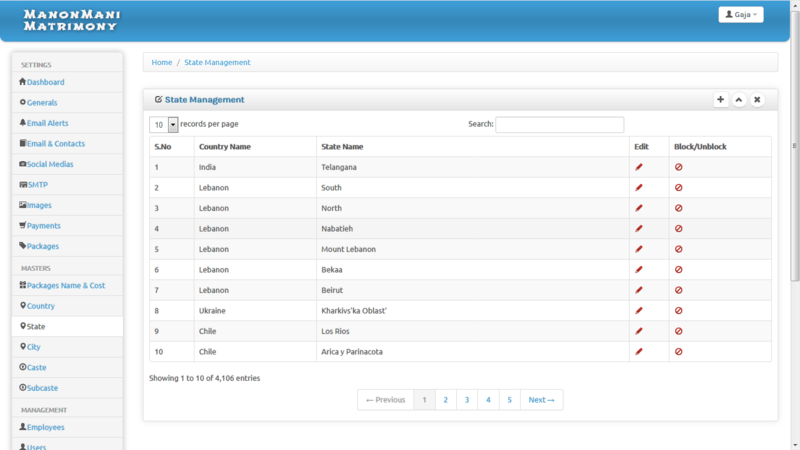 The complete reports are available such as users, orders, etc. Admin can contact to franchise for any clarifications. The complete details for ordered items and also total no of sales, by weekly,monthly,day report. Admin can also see the report for each franchise. The settings are being updated by Franchise details. Franchise can create profiles behalf of users. The franchise have the features which have been permitted by admin. Franchise can add profile like personal details, communication details, community details, habbits and eductaion details, horoscope details. Castes can be added by admin that can be as master data. They can be accessed by Franchise. Sub Castes can be added by admin that can be as master data. They can be accessed by Franchise. franchise can contact to Admin for any clarifications. The readymade matrimonial script is provided with unique features allowing for complete profile update with photo and horoscope for your users. 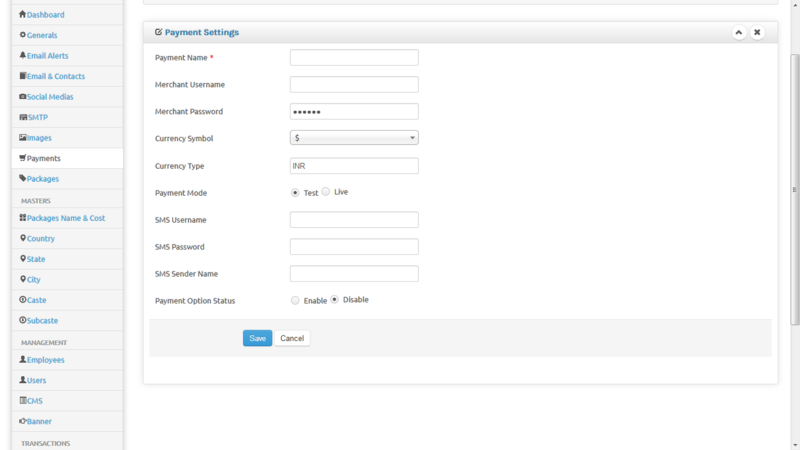 The application provides flexible and dynamic user experience for your user. Also providing a profitable solution for your business. The favorites which was saved by user. 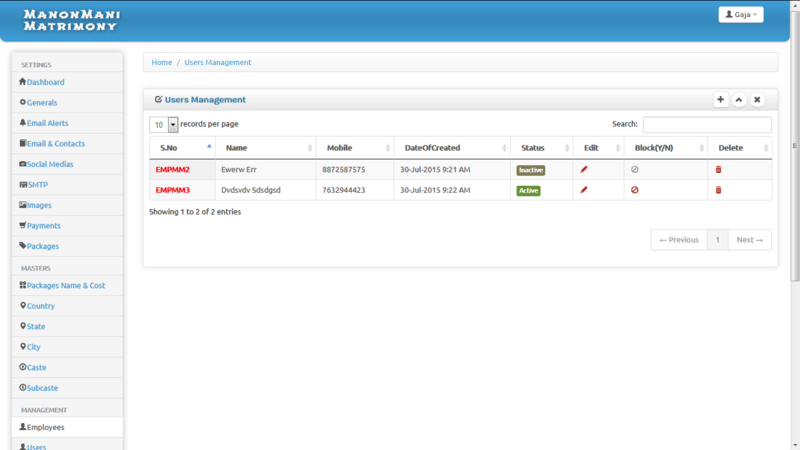 Admin can easily set the application properties enabled or disabled accordingly. 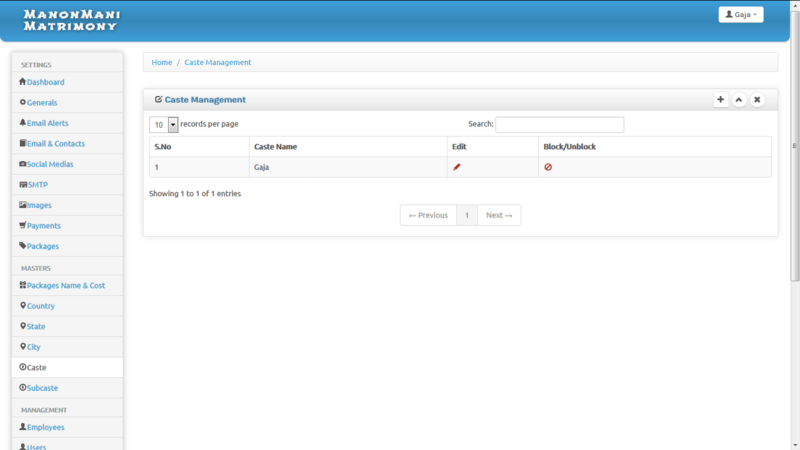 Admin has complete access to the application, can manage and track the performance. User is provided with notification option enabled to receive quick updates. Let your user get instant notification from anywhere. We provide a secured payment gateway integration. Easy set up with no hidden charges.